Many neurotic canine behaviors come from being cooped up and bored. Destructive, OCD behaviors, repetitive behaviors, are all related to being bored and looking for something to do; especially those in the hunting, working, and herding breeds. Dogs need to have a job just as much as they need food and air. It’s a very important part of their lives. The most natural things dogs do in the wild is walk. Birds fly, fish swim, dogs walk. 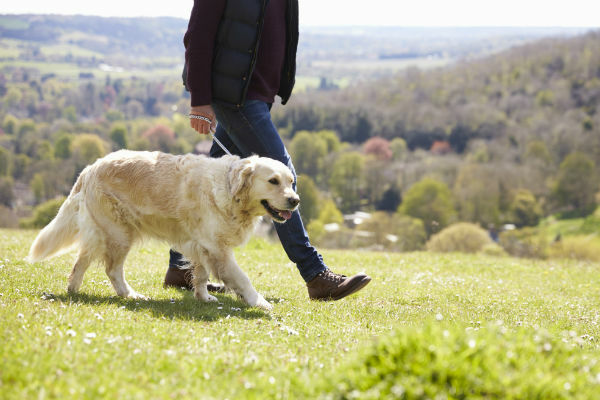 When working on psychological and behavioral problems with dogs, the first step is exercise. As we have talked about in the past, once you know the proper technique to work on situations, you need to set up exercises and repeat them. Repetition is your friend in order to rewire the brain. Old habits must be alleviated and new habits established. Remember: what a dog rehearses is what they master. Repetition has created these prior habits. Many dogs have been practicing them for not only months, but most likely for years. If you have a fearful dog, exercise them first before working on anything that makes them fearful. If you have a hyper dog, exercise them so they can calm down. If you have an obsessive behavior-type dog, exercise them so that we can work on the obsessions. Once you drain the brain and the body of energy, the dog is much more likely to listen and to learn. They will much more easily take in the new information. Exercise makes learning and reconditioning easier all the way around. It is a primary requirement for a happy, healthy dog. We encourage you to enjoy this bonding experience that is available to you every day.